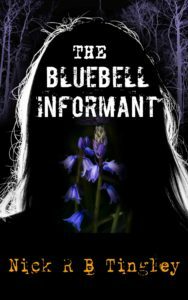 I’m delighted today to have a guest post from Nick Tingley, the author of The Bluebell Informant. First of all, here’s the lowdown on what it’s all about. A year later, a man is shot in the back of the head and left in a field of bluebells. Is it a mugging gone wrong? A copycat killer? Or is the Bluebell Killer still out there, waiting to pounce on his next victim? Nick has written a brilliant post about why he used bluebells as a signature for his serial killer. Over to Nick. The Bluebell Killer is a new type of murderer. His MO is never the same – the weapons used and cause of death are always different, his victims don’t seem to be linked together and – whenever DS Evelyn Giles thinks she is close to catching him – her prime suspect always has an irrefutable alibi. Harken shot a knowing look and bent down next to the body. Carefully, she placed her fingers under the dead man’s clothing and began to lift it up. As she brought the shirt past the centre of the man’s back, Giles could see the blue-violet flowers strapped to his skin using duct tape. She didn’t react at first, aware that Harken was staring intently up at her, but Scutter was not so veiled. ‘Oh my God,’ he whispered. ‘Not another one. I’ve always loved bluebell season. Between late March and early June, they appear like some sort of intricately woven purple carpet. Growing only in the shadows of nearby trees, they seem to bring a certain light quality to what should be very dark, shaded and twisted places. You never find one bluebell out on its own. There are always hundreds of them scattered around your feet, swaying gently in the spring breeze. And, of course, the bluebells. To start with, it just seemed right that there should be some reference to them in my story. But as the story began to grow and develop, the presence of the bluebells became more and more important until – finally – I started to develop the backstory of The Bluebell Killer to fit in with everything else. The bluebells weren’t just a neat little addition to my story – they’d become an essential part of it. And by that point, it was hard to imagine how I could ever have written the story without mentioning them. Throughout The Bluebell Informant, this purple-blue plant acts as a very large, thematic – and yet subtle – backbone for the whole story. This is particularly so when we look at how bluebells fit into English folklore. But then, strangely enough, there is another piece of folklore associated with bluebells. Allegedly, if you were to hang a wreath of bluebells around your neck, you would be compelled to only speak the truth. One key factor that brews quietly in the background of The Bluebell Informant is this question of ethnicity. Despite being brought up in the UK, DS Giles has found herself on the wrong side of everyone’s hatred and discrimination simply by being an Asian-born detective. In the world that Giles inhabits, a large, extreme right-wing political party has surprisingly won a General Election and now forms the government of Britain. As a result of this, Giles has experienced a lot more suspicion from her colleagues and general members of the public, who dismiss her as nothing more than an immigrant stealing jobs of hard-working natives. Once again, there is a somewhat surprising link to bluebells in this section of backstory. There are two types of bluebells in Britain: the native bluebells and a Spanish bluebell. Whilst the native bluebell is growing strong in the country, there is a wide-spread concern amongst conservationists that the presence of the Spanish Bluebell will lead to cross-breeding and – eventually – to the extinction of the native species. 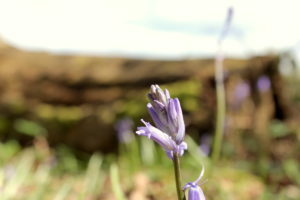 Under UK law, native bluebells are therefore protected and cannot be uprooted to help prevent this feared extinction. Moreover, gardeners have to take special care not to plant the Spanish variety near to the native species to prevent interbreeding. She is the ultimate outsider and, like the Spanish bluebell, she is forced to go down her own path to find the truth – even if it means risking everything to do so. 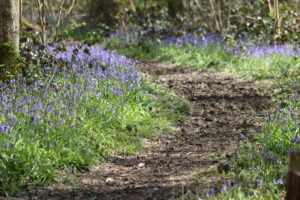 Beyond the direct references in The Bluebell Informant, bluebells have other facts and legends about them that are quite interesting in their own right. In the Victorian era, bluebells were crushed to make starch, which was then used to help stiffen the ruffs of prominent people’s collars and sleeves. In folk medicine, the bulbs of bluebells were used to cure various ailments and, in more modern times, extracts of the plant have similar compositions to compounds tested for use in battling cancer and HIV. And finally, bluebells make excellent glue. During the Bronze Age, bluebell glue was used to attach feathers to arrows and, a little bit more significantly, to bind pages to the spines of books. Doesn’t that all sound fab? If you agree then pop on over to Amazon and download The Bluebell Informant for just 99p! Thank you so much, Nick, for such a fascinating post. I love bluebells so I found it particularly interesting. Nick R B Tingley is the author of the DS Evelyn Giles series. Having worked as a ghostwriter for some time, Nick is starting to produce work in his own right. 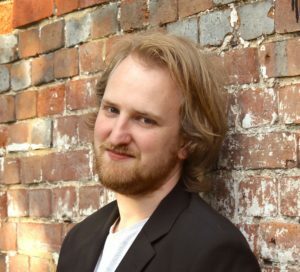 His short story, Dressed to Deceive – a tale about a man who tries cover up a murder in the time of Jack the Ripper – won the 2015 Inkitt Fated Paradox Competition and continues to gather considerable acclaim. The Bluebell Informant is his debut novel, which he is releasing for free. The second book, The Court of Obsessions will be released later this year.